What happens when an Austrian rap producer with a history of more than 20 years in the game, teams up with some of his favorite MC's from the US? First of all, great music. But wait a second, who's that guy? 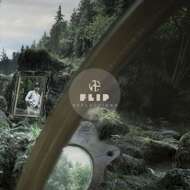 Flip is a veteran producer and rap enthusiast from Linz, Austria who got addicted to hip-hop and its culture in the early 80's when he first heard joints by The Fat Boys and Melle Mel on Austrian radio. A couple years later, heavily being influenced by the sound of Public Enemy, Eric B & Rakim and EPMD, Flip and a bunch of other rap-nerds founded the nationally critically acclaimed group Texta in 1993 and became the originators of the Austrian rap scene. Flip also has been organizing hip-hop shows in his hometown Linz since 1994 and started building connections to the US indie rap circuit since 2000. So as these connections grew, Flip began to record songs with the artists passing through and doing shows. Out of many tracks Flip recorded, he picked the best collabos for his "Reflections" album, with a line-up boasting artists from all corners of the US, like AG (of D.I.T.C. ), Killah Priest of the Wu-Tang family, Elzhi, Guilty Simpson, Phat Kat, Edo. G, Kev Brown, LMNO, Tragic Allies and many more.